That might be true for new people coming in. But doesn't apply to people who came 15yrs back, they were not told that it will take 20yrs, so go back now. Those people are stuck, only coz they followed all the rules. By the way, Ive seen yours & JoeF's comments on illegal immigration, you guys support it. I have never seen you saying that they should go back. How is it not discrimination? Someone born in Bangladesh can get GC within 2 yrs. Someone born in Guatemala can get GC within 2 yrs. Someone born in Nigeria can get GC within 2 yrs. Someone born in Estonia can get GC within 2 yrs. But if you are born in India by no plan of yours, you gotta wait decades to get your GC, in the peak of your life when you should be focusing on career & family. Just coz of where you were born. This is the exact definition of discrimination based on nationality. Applying country quota to legal immigrants is a joke when you allow 20 million illegal immigrants from just one country. It's meaningless. Indian population in US is just 3.5%. How is it ok to limit people from India who come legally? Sorry to hear about your case. It's a torture to ask for evidence after 6 years of pending I-485. First they make you wait for decades and then they ask for new proofs later. Things change in 10yrs, life changes. This is double discrimination. None of the other nationalities have to go through this. You should be able to use the earlier PD. That's one question nobody knows the answer to ! My guess is, you don't have to do anything. 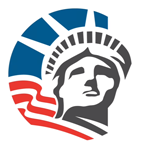 USCIS will figure it out that your EB3 date is current and process your case. There are some who have been waiting for 10yrs after applying for I-485, and there are others who get them in 1yr. Supp J is an insult to those who have gone through the whole process righteously and waiting for 10yrs, now they have to again prove that someone wants to hire them with the same skill set. What if you cannot get such a letter from any company. Why would any company provide you with that assurance that they will hire you eventually. It's sad & unfair. So you mean someone on EAD can stay unemployed for years ! I wonder how are they going to provide Supp J Form which is being requested in RFEs? You mean the Primary too? Doesn't it have to be in a similar field. You can't become a day trader, can you? Great News, newly arriving H4 spouses will get preference over people waiting in line for 8yrs on H1B or EAD . Unfortunately H4 spouses have to wait till 5 million illegal immigrants are given green cards. Thanks Obama for keeping your promise. Keep voting for Democrats !!! As predicted, Obama's Executive Action to grant amnesty to 5 million illegals will result in further delay for legal immigrants who have been waiting for 10 years !!!! As I said before, this government will do nothing for legals, it will only harm them. It's a sad day for EB2 and EB3. Keep it up Dems !! Could someone elaborate how it will help the legals waiting for more than 5yrs? Latest news !!! Obama has asked USCIS to prepare 34 million Green Cards to be given to illegal aliens right after the November elections. http://www.dailymail.co.uk/news/article-2800356/us-immigration-authorities-prep-order-34-million-blank-green-cards-work-authorization-papers-obama-readies-executive-order-illegal-aliens.html The Democrats don't care about the EB2 & EB3 who have been waiting in line for 10yrs, working hard, abiding by the rules. It's a sad day for Immigration.